A sold out crowd wasn’t the only thing that made Red Rocks a monumental occasion for JL. 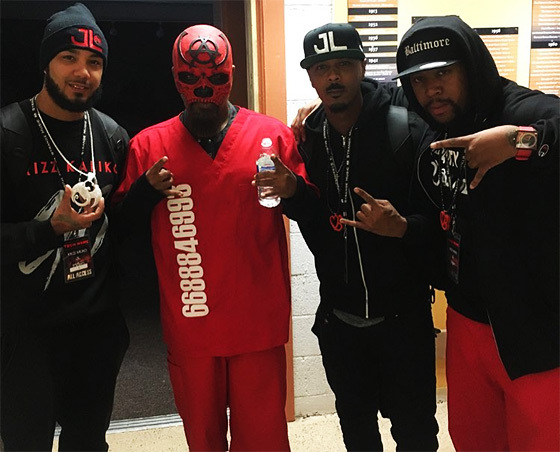 The newest addition to the roster, JL, is on his first tour as a Strange Music artist. October 9th became his first time ever performing at Red Rocks, a special occasion on its own. Add to that a sold out crowd of more than 10,000 people and being presented with his official Strange Music chain, JL had one of the biggest nights of his career so far. Were you there to witness JL receiving his chain? Send us pictures on Facebook or Twitter! THE CALM BEFORE THE STORM TOUR!